After the bad luck of losing my binoculars the previous day, I was owed a break. It came on this very short visit to Point Roberts. 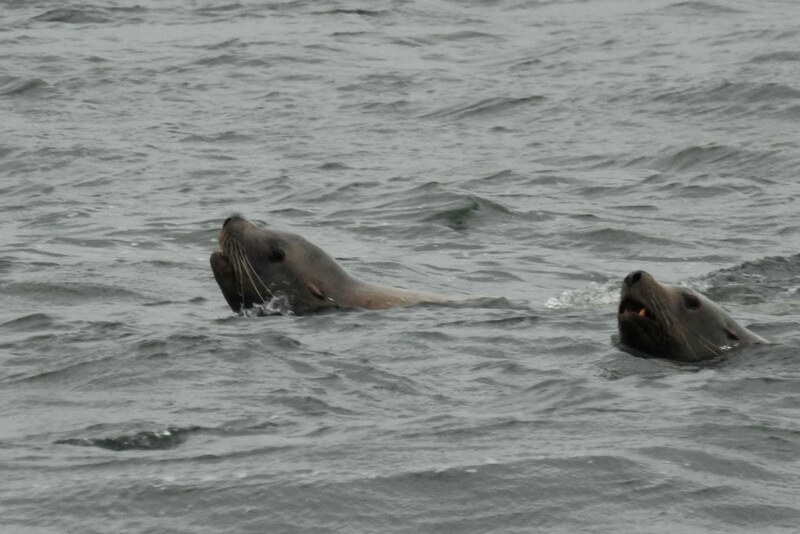 The day started with a couple of good looks at a Steller Sea Lion quite close to shore. If one wasn't good enough, how about two? I was situated right at the lighthouse beacon when I noticed some movement nearby. It was a Snow Bunting within 10 ft. of my location. I snapped off a few shots, this is an adult in non-breeding plumage. When breeding, they are predominately white with black on the wings. But you have to go quite far north to see them like that. 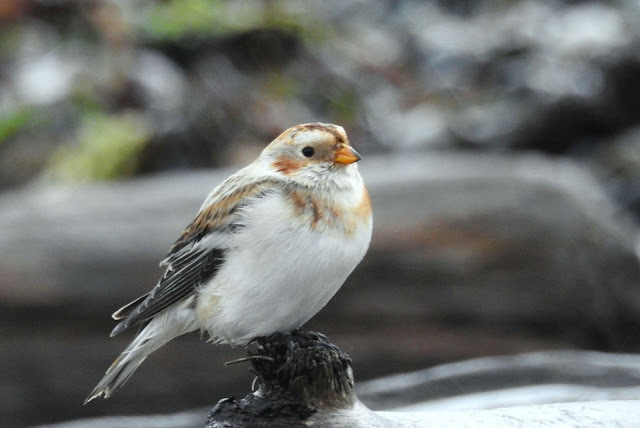 There had been reports of Snow Buntings on the Tsawwassen Ferry jetty, but none at Point Roberts. 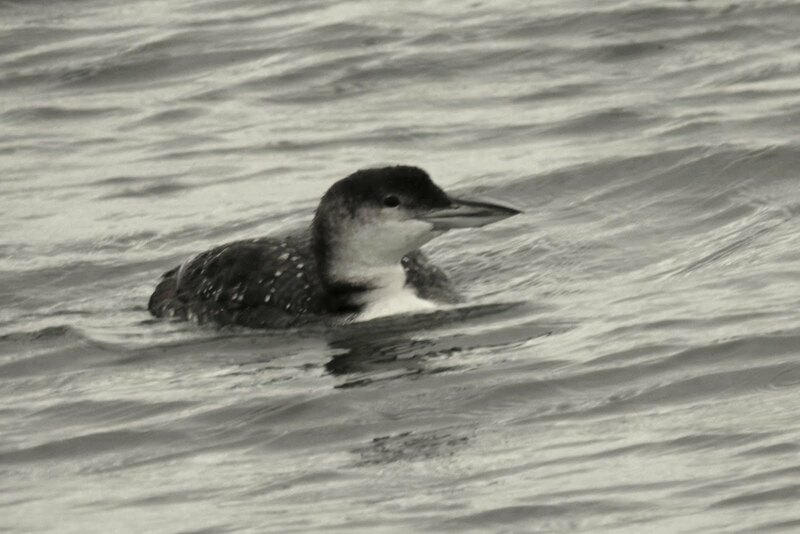 My find made it onto the BC Rare Bird Alert. A more common bird at this location is the Common Loon. 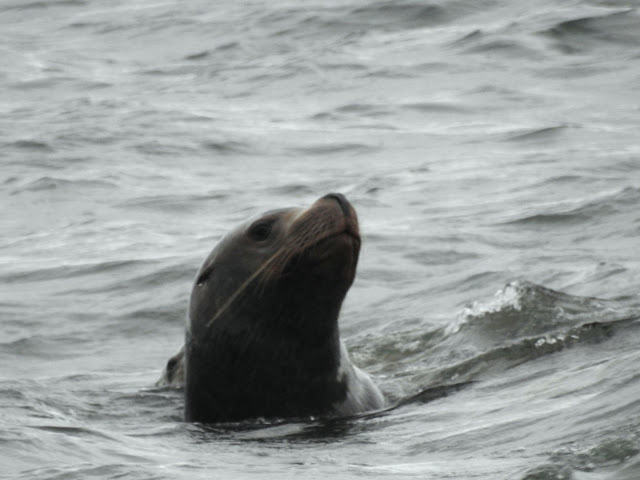 I spotted another Sea Lion and snapped this picture below. I had noticed a bird flying by when I took the photo but it was long gone by the time I finished. I forgot about it until I downloaded the picture. But, I could not identify the bird. 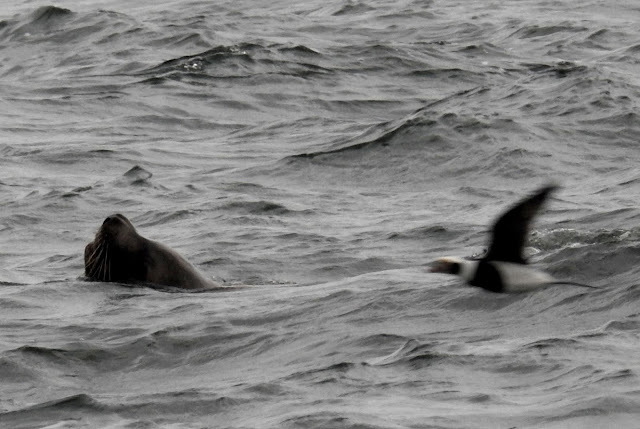 I sent it to the woman who operates the Rare Bird Alert and she came back with Long-tailed Duck. Much head slapping ensued. This is a bird I should have known, having seen them here before. I left the Point , but still had the Monday on the long weekend to find more birds.